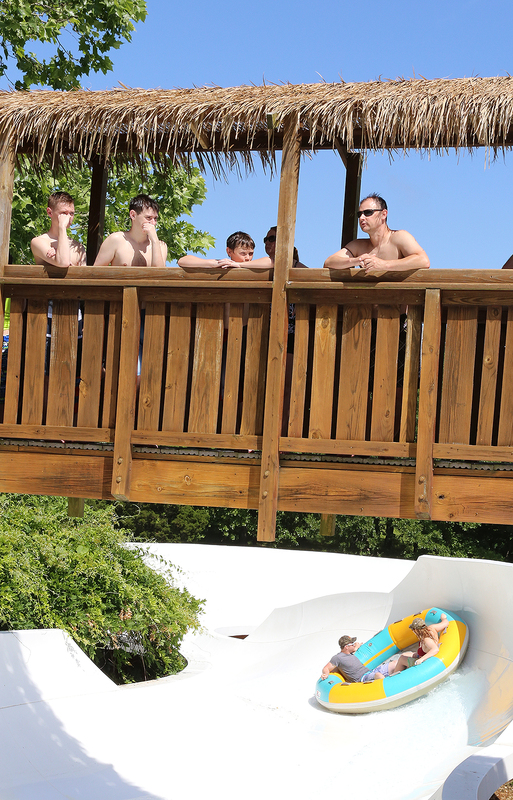 It's been another great week full of summer fun at Silver Dollar City, White Water and the Showboat Branson Belle! 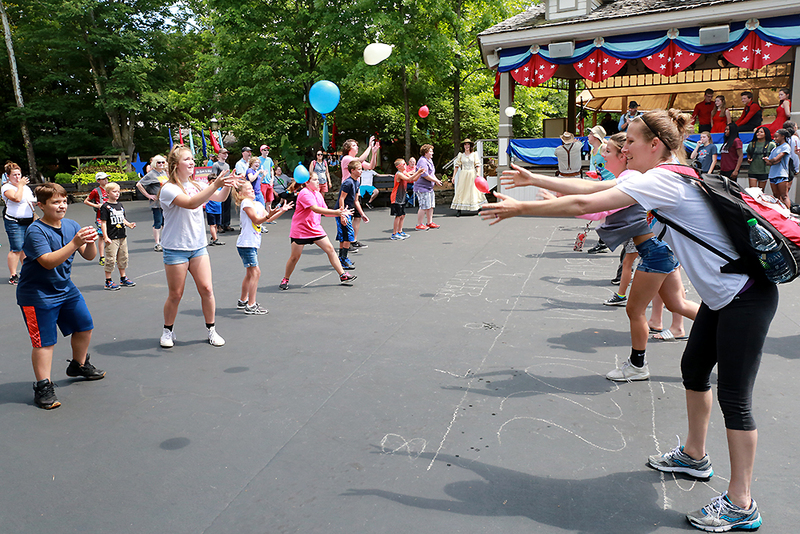 ‍Guests participate in a Water Balloon Toss competition on the Silver Dollar City square. Part of the Star-Spangled Summer festivities, this friendly competition takes place following the Cupcake Eating contest at 2:45pm. 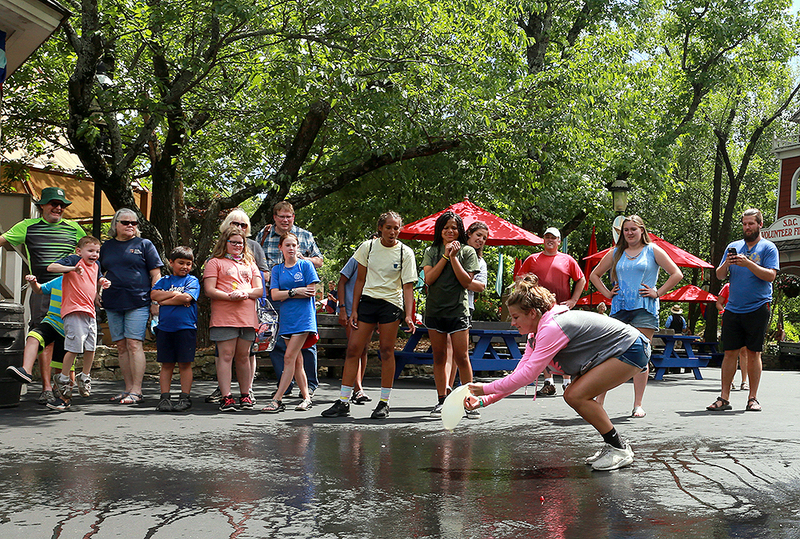 ‍Guests eagerly watch on as a competitor in the water balloon toss barely saves her balloon from hitting the ground. ‍A water balloon bursts on the pavement after a guest couldn't come up with the catch during the Street Troupe's daily water balloon toss. 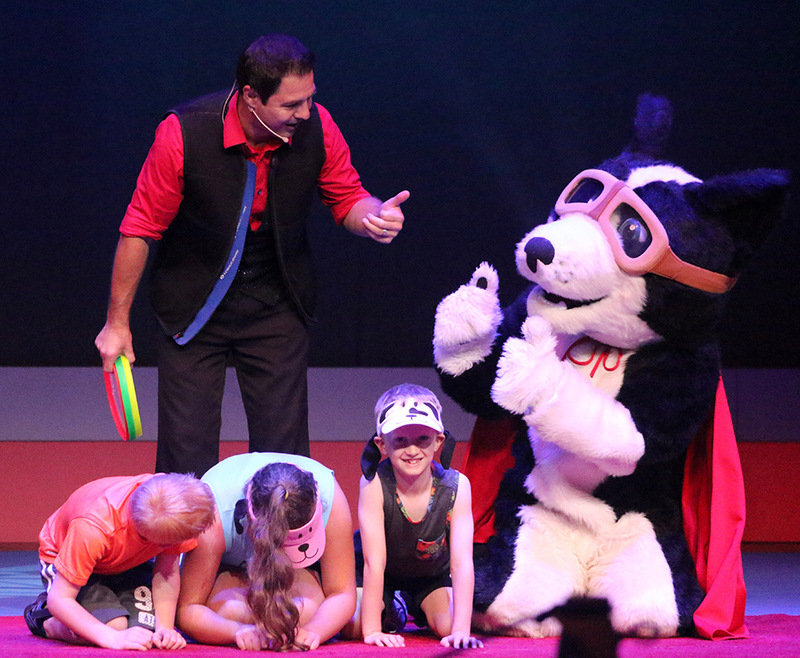 ‍Trainer Chris Perondi, back, and show mascot Diggy give each other a thumbs-up as guests get ready to be a part of the show's signature big-air stunt. 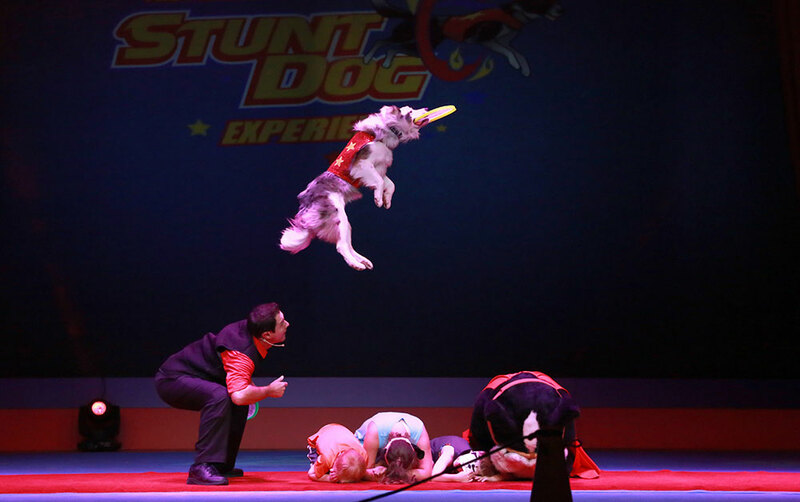 ‍Stunt dog Vinny Valentino catches a flying disc as he leaps over the guests and Diggy. 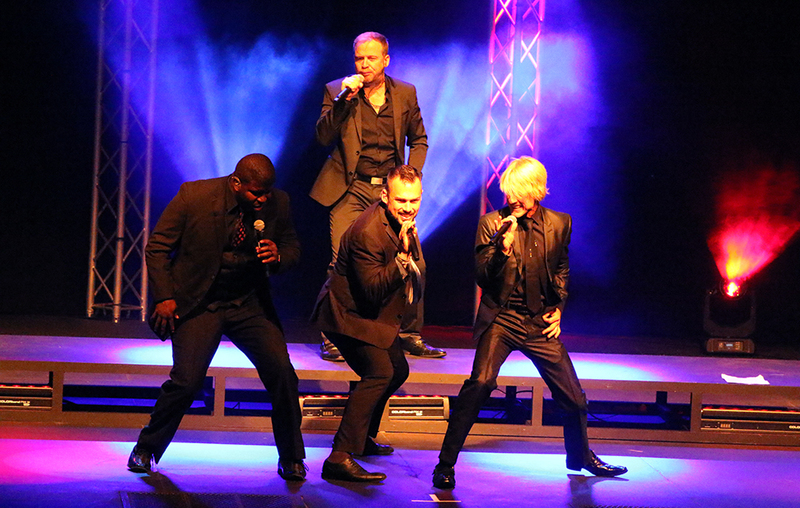 ‍A capella legends Rockapella perform in the Riverfront Playhouse. ‍At White Water, guests wait for their turn on Ohana Falls as a pair of guests slides on by. 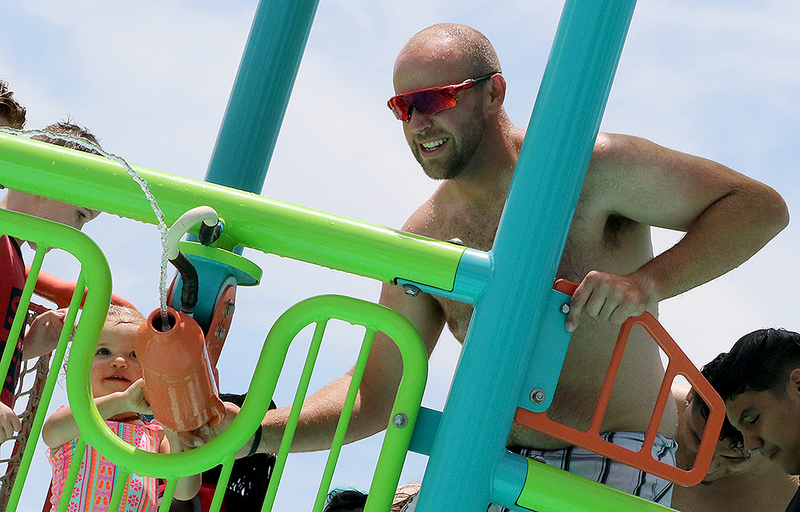 ‍Two guests team up to use a water cannon in the Coconut Cove play area. 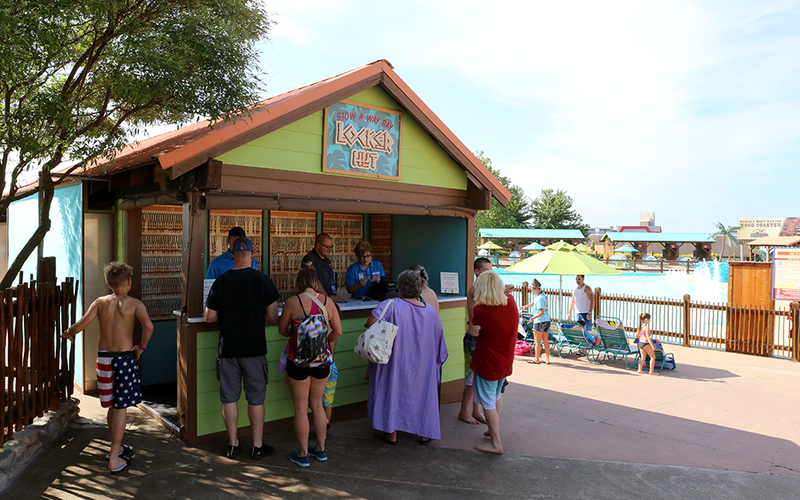 ‍Guests rent lockers at the new Stowaway Bay Locker Hut, which has been relocated to a convenient location near the Surf's Up Wave Pool. 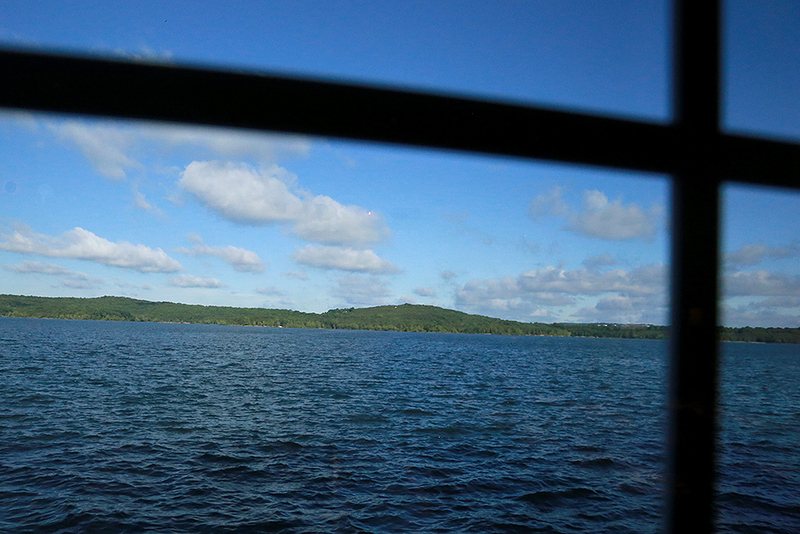 ‍The serene waters of Table Rock Lake are seen through a window on the Showboat Branson Belle. Guests can enjoy views of the lake throughout dinner service and the show. 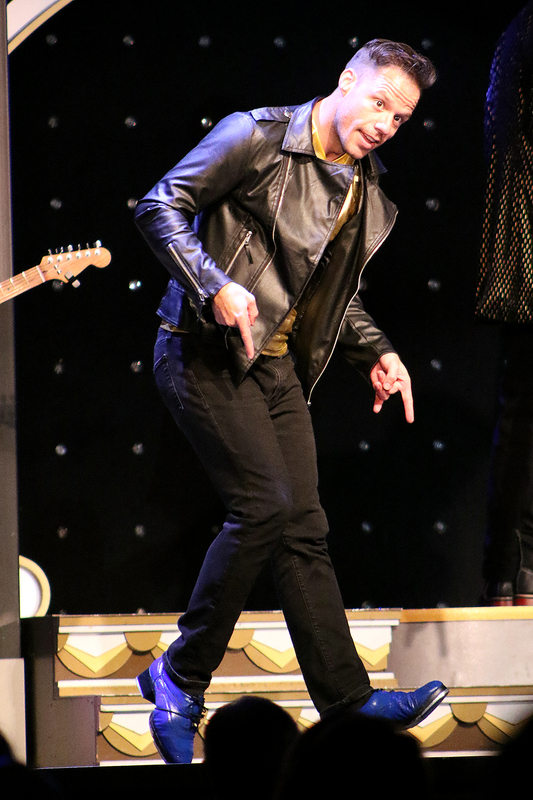 ‍A dancer highlights his appropriate costume for the Elvis Presley classic "Blue Suede Shoes," one of the first songs performed in the Showboat Branson Belle's show. 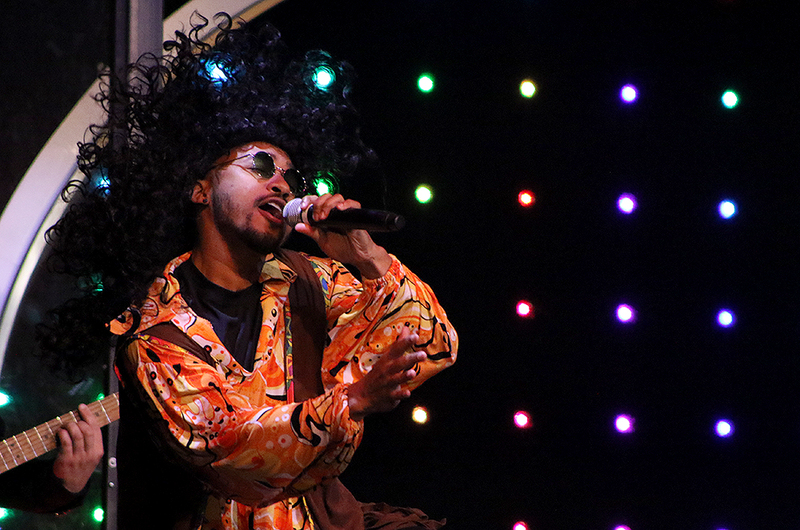 ‍A cast member flips his wig during a performance of "Hair" during a cruise aboard the Showboat Branson Belle. A cast member admires her fellow performer's dance moves during the Showboat's tribute to America's Favorite Movies. 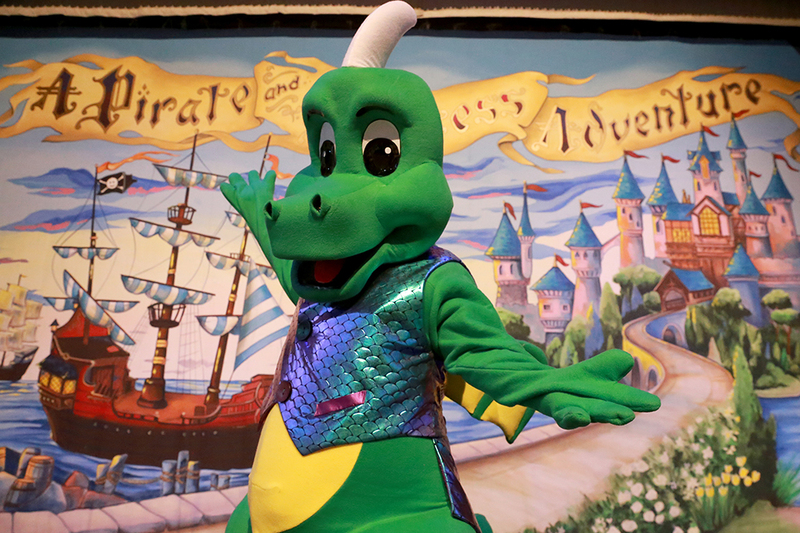 ‍Our newest member of the Princess & Pirates Cruises cast poses for a photo on stage. This singing dancing dragon will be on the limited-time summer cruises, every Saturday and Sunday morning in July. Come be a part of the fun! Want to visit all three attractions? 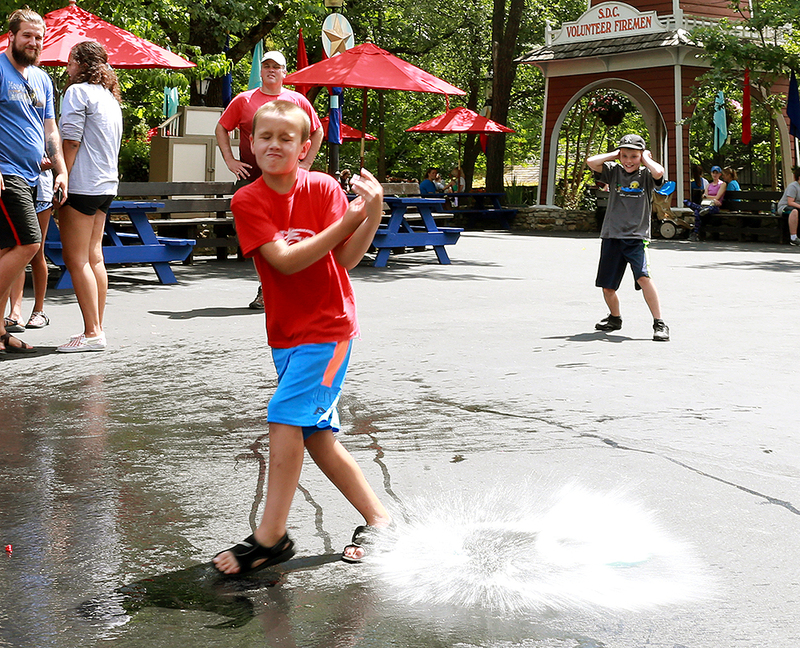 Splash & Play Tickets include 3 days to come and go between Silver Dollar City & White Water for just $31 plus tax per day for adults. Plus, with your Splash & Play Ticket you can get a regular cruise aboard the Showboat Branson Belle for just $30 plus tax in general seating.